Kimi Raikkonen has confirmed he has a contract with Lotus for 2013, but insisted that doesn’t mean he will definitely be with the Enstone based team. Fending off rumours the Finn is a candidate to move to Ferrari or McLaren next year, Lotus owner Gerard Lopez recently revealed Raikkonen’s current contract includes an option for the 2013 season. Raikkonen confirmed that “option” to the Finnish broadcaster MTV3. Raikkonen is undoubtedly referring to 2009, when at the end of that season Ferrari paid the 32-year-old to sit out 2010 in order to make room for Fernando Alonso. MTV3 said Raikkonen’s 2013 ‘option’ expires at the end of September. The driver confirmed he is likely to stay. “I have no reason to do something else,” he said. Kimi should go back to Mclaren, just saying. Well, are you at all surprised? Since Hungary, Lotus has dived into the abyss. The only reason it was P6 and P7 for Kimi and Romain last Sunday was because others in front DNF. Lotus will not carry Kimi to another championship. He is now looking at his options, and rightfully so. He is one of the best racing drivers out there, but Lotus are the ones underpeforming dismally. Even at Spa – which should have been a victory for the Iceman – turned into him defending third position. Yes Kimi, start looking around for something else. From an objetive point of view I don´t blame Lotus entirely. Kimi should have taken that first spot in Bahrein, he was too conservative against Vettel. I said it before, Lotus is afraid of not performing than winning. They should have known that the big teams would catch up to them, but did they progress? No they stayed static. What Kimi should do is be more active, critise the team like Alonso and Hamilton does. 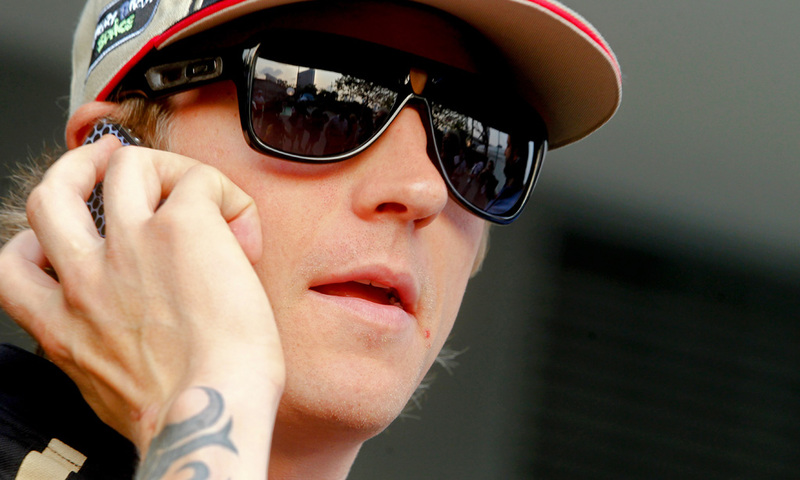 But this is not the caracter of Kimi cuz he is more laid back and accepts the car as it is. I think Kimi has a moral responsability to also participate in car development and not just drive. I say this with all my heart to seeing Kimi win, but if he just accepts the car its hard for me to realistically see Kimi achieving anything this year. Third in the drivers standings after two years out of the sport and the only driver to have finished every lap of every race this season. Six podiums and only one non points scoring finish this season and all in a car that is not up there with the front runners. Kimi won’t achieve anything this season! Are you kidding? I agree with u Gio .. So he’s definitely staying now that we’ve found out McLaren got Perez.